Burcin Terzioglu returns to Ay Yapim after Ezel series! She finished Poyraz legend and now is ready for the next step. Kucuk Cinayetler is the title of the new series in which will play with Funda Eryigit. The series is going to start this season! Ilker Kaleli will return to our screens as well! But unfortunately for me he will play in a new platform, an internet-series. They have plan its premier for 2018! 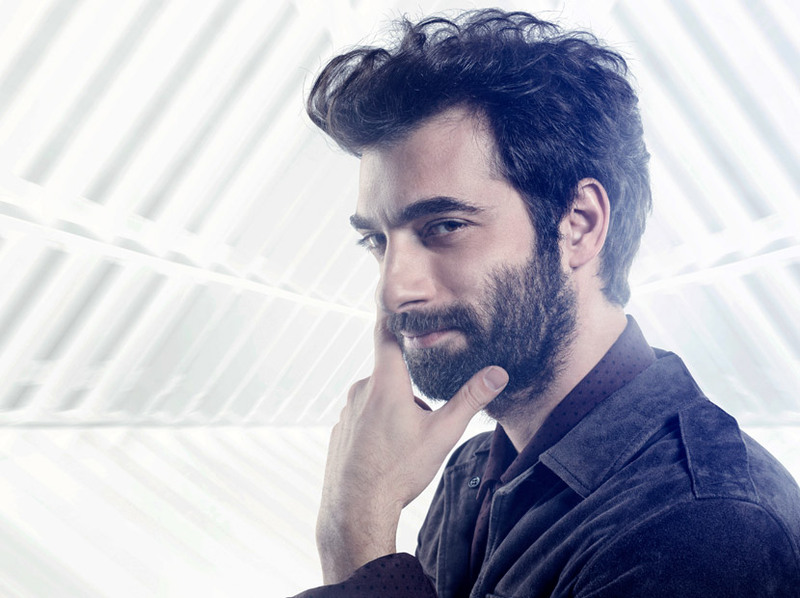 Siyah-Beyaz series was meant to be Engin's! Engin Akyurek will be on the leading role of the upcoming Siyah-Beyaz. This september we will enjoy him in this unexpectable drama! Siyah Inci started its shootings last days. The cast has already published some photos. Today we had the opportunity to see Tolgahan and Hande together! They are the definition of perfection! Gazino series is on the road. But unrfotunately Beren Saat hasnt decided yet if she wants to take the leading role on this series. If she says the big "yes" she will play with Baris Arduc!Pinar Bulut and Kerem Deren are the senarists who have written Ezel as well. The series will be aired by Star Tv! Beren say YEES! Kayit Disi is a new series in which will play Erkan Petekkaya,Songul Oden,Dolunay Soysert. It will be aired by Fox Tv and Erkan will play the role of a lawyer who struggle to solve family's problems! Aras is the name of Ay Yapim's new series. According to some reputations Aras Bulut Iyinemli and Melisa Asli Pamuk will be on the leading roles! According to another reputations Kaan Ugrancioglu and Tuba Buyukustun will be on the leading roles for Ay Yapim's new series Aras. The story is about two brothers who want to take revenge. In the same series will play Ekin Koc as well! Bir litre gozyasi is the name of Farah Zeynep's new series. By her side will be Kerem Bursin. The story is coming from the reality and its a korean one. The series narrate the story of a 15 girl who is going to die very soon due to a terrible illness. Ver Elini Ask is the name of the new series which will be aired by Kanal D. Starring Ali Il and Sevda Erginci the series will be a comedy one. Finally Kenan returns with a new series, a legendary project named Fatih. The shootings will start this September...Unfortunately we dont know yet who will be Kenan's partner...The productions doing meetings with Tuba Buyukustun, Fahriye Evcen and Cansu Dere. Bizim Hikaye which means our story is Hazal Kaya's new series. Its going to be the turkish version of Shameless.Starring Hazal Kaya and Burak Deniz, the series is going to start very very soon. Ozge Ozpirincci will take place on the series Kadin which is the turkish version of the korean drama "Woman"
Ibrahim Celikkol and Birce Akalay will play together on a new series named Sana Kalbimi Verdim. The series has been written by Sema Ergenekon and Eylem Canpolat.